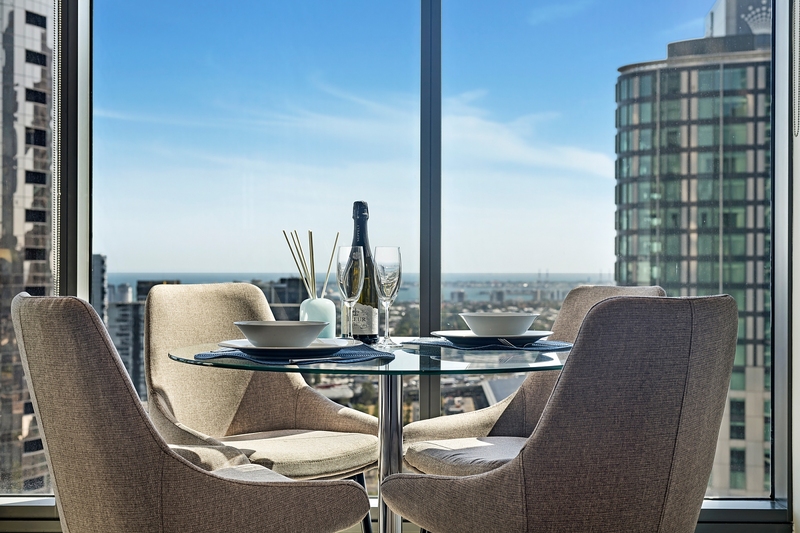 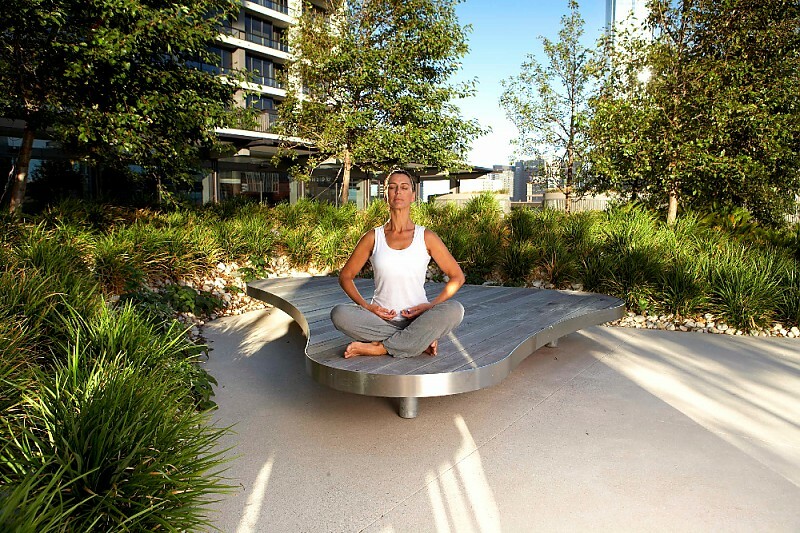 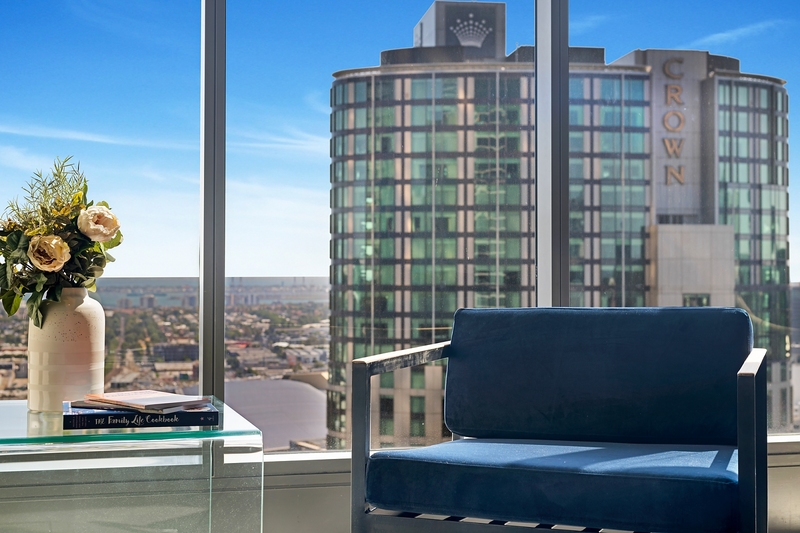 From up here on the west side of the 35th floor you can see across Port Melbourne, beyond our Beach Street apartments in Beacon's Cove and all the way across Hobson's Bay to the historic waterfront town of Williamstown. 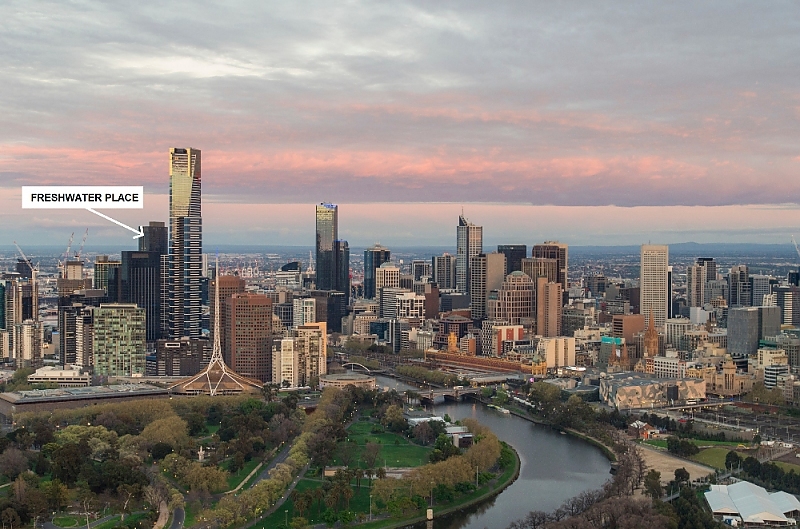 Look right and see Melbourne's CBD and Docklands and to the left is Port Phillip Bay. 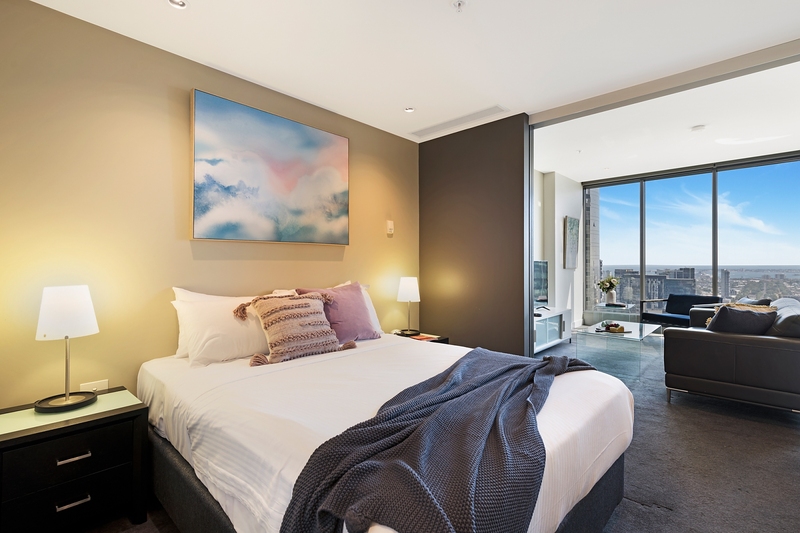 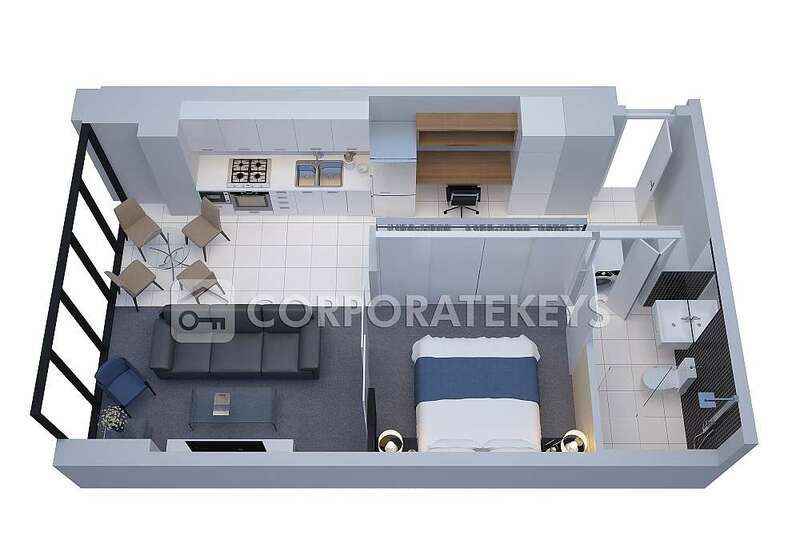 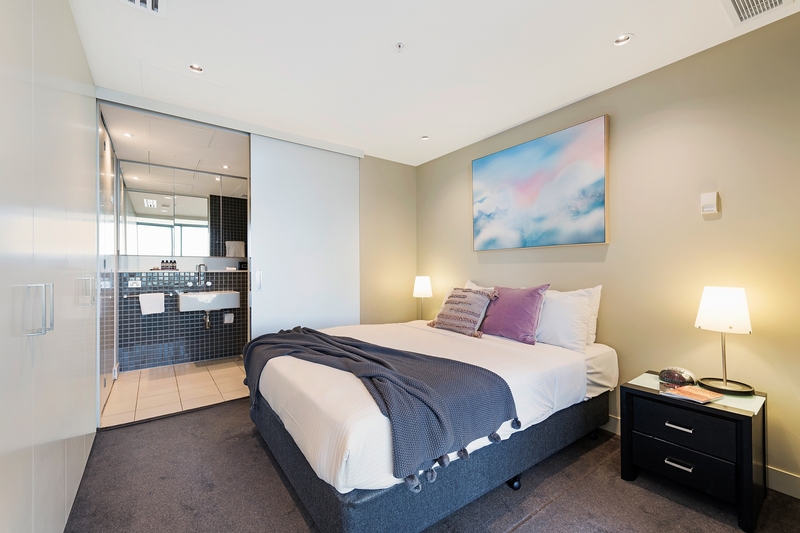 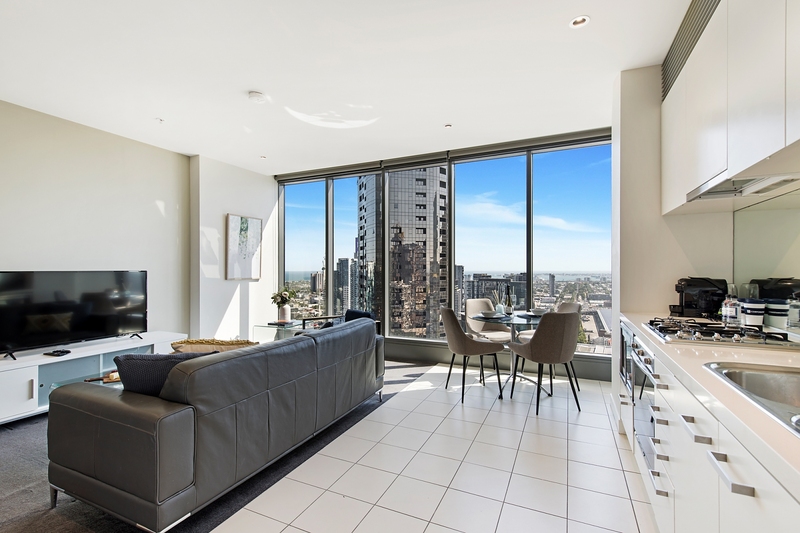 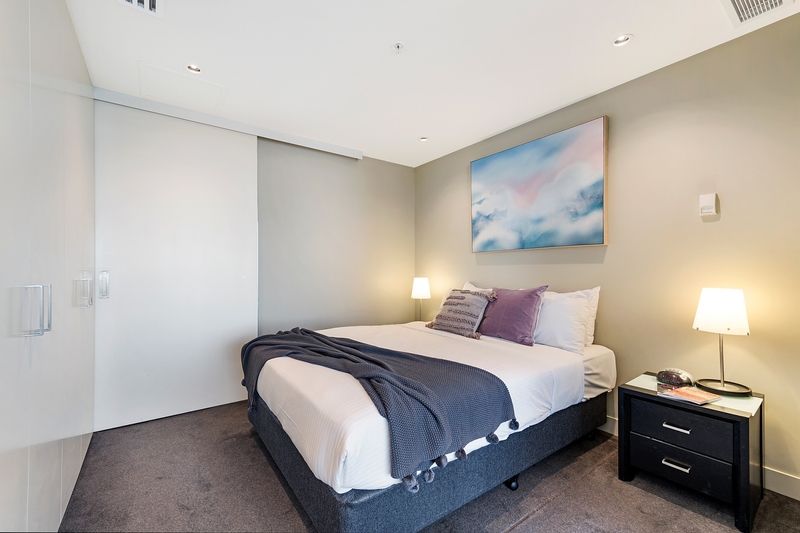 This fabulous high-level apartment is tastefully furnished by Corporate Keys in our signature cream leather, gloss-white timber, chrome and glass package. 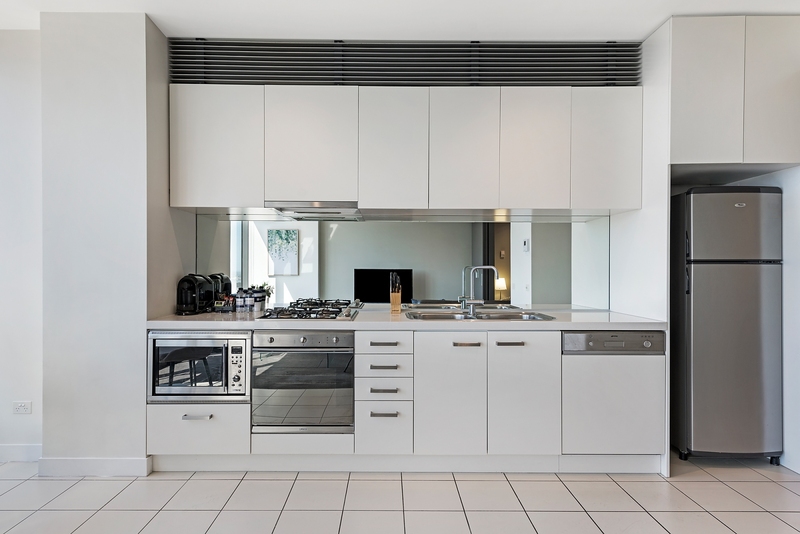 The ultra-modern galley kitchen is fitted with European appliances, the bedroom has a Queen size bed and an en-suite bathroom and there is a convenient study/work bench with bookshelves in the entrance hall. 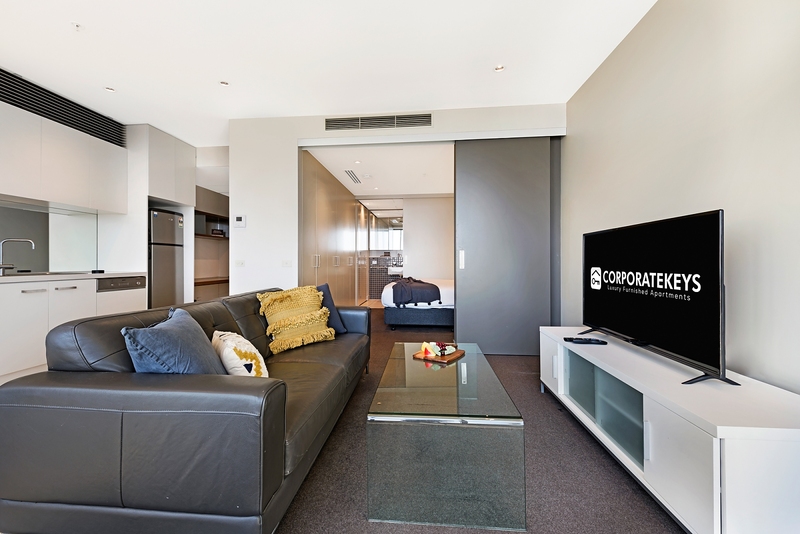 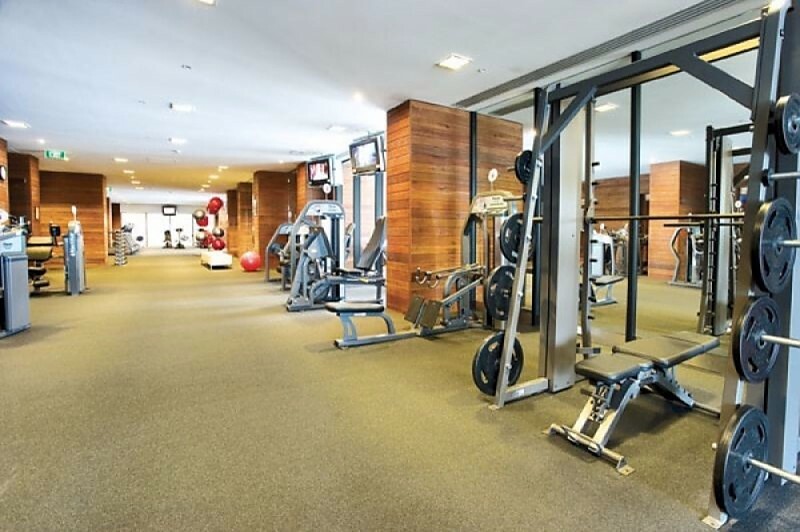 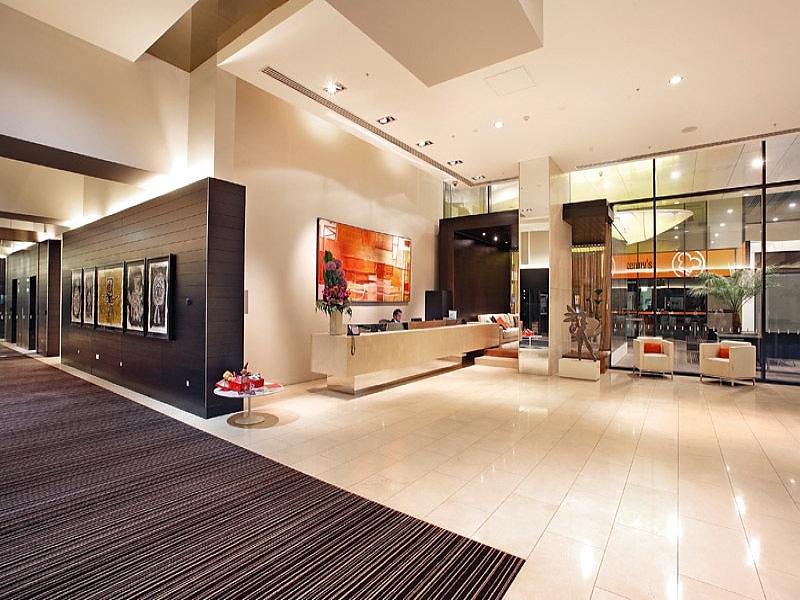 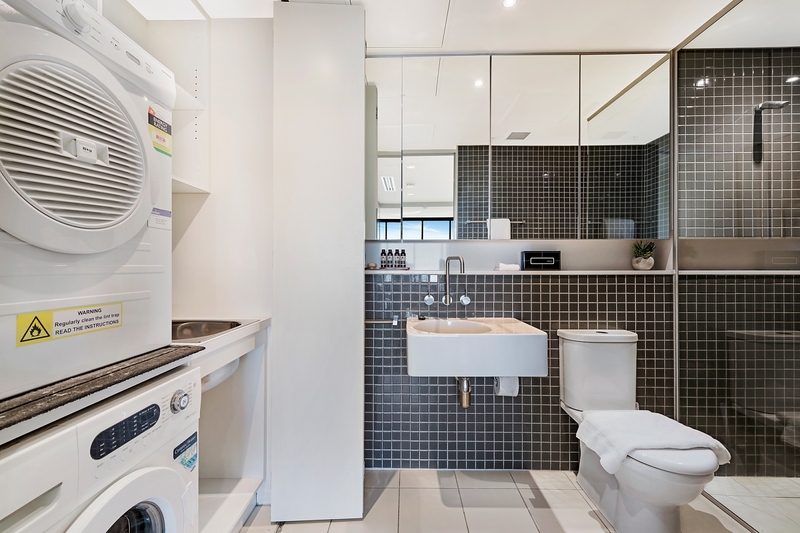 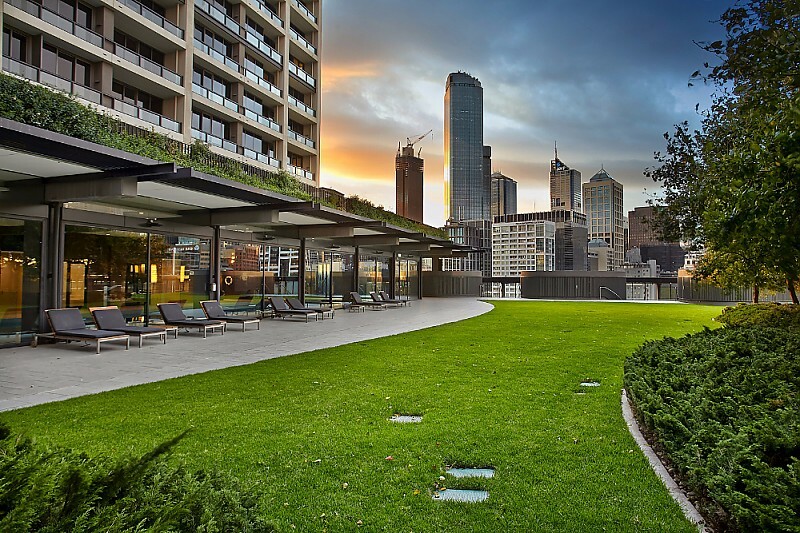 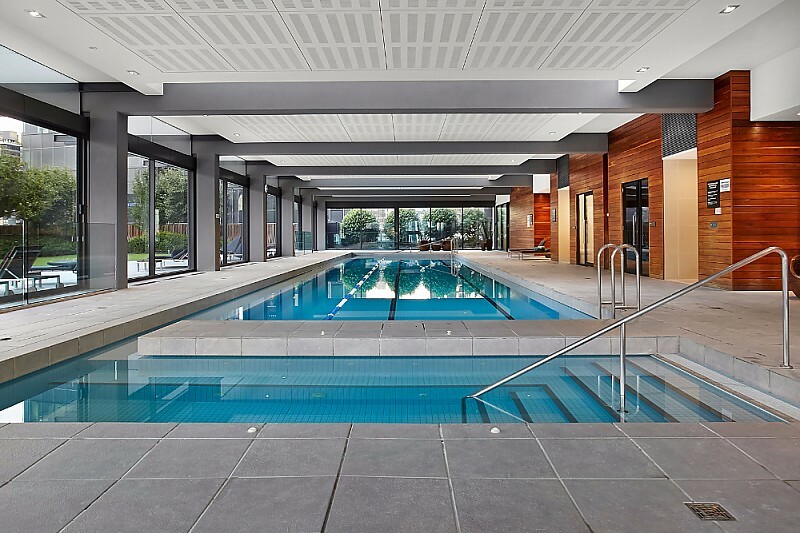 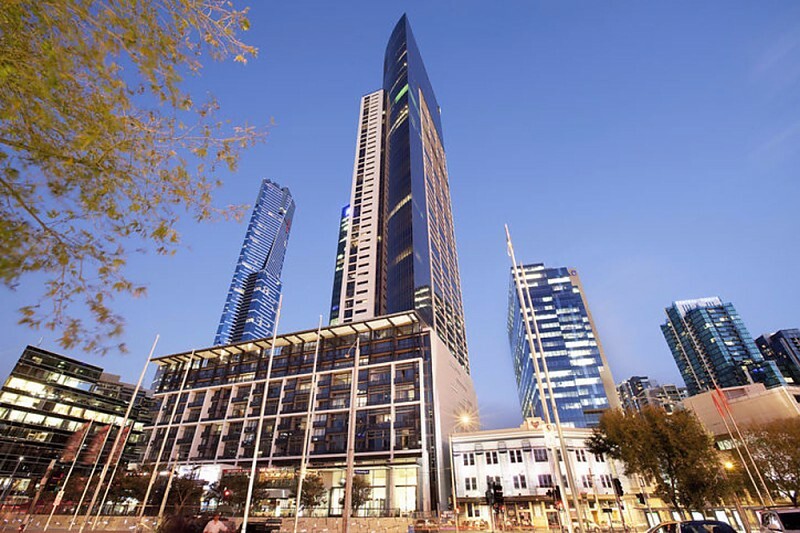 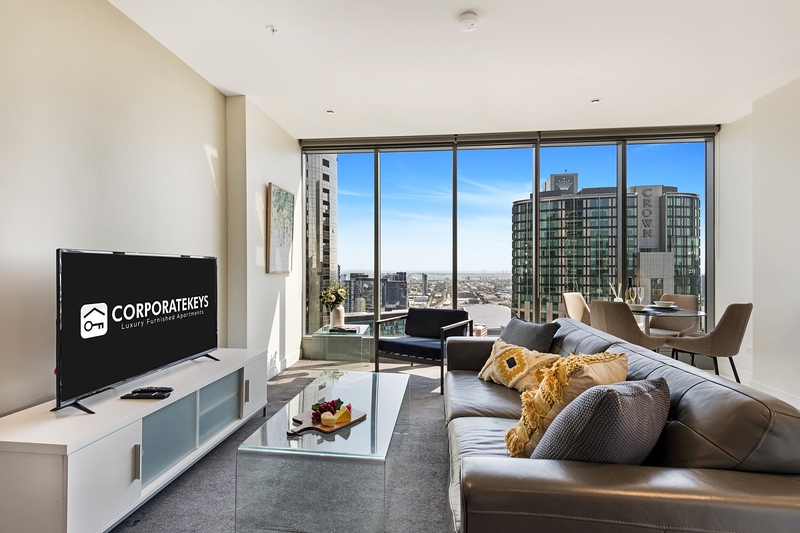 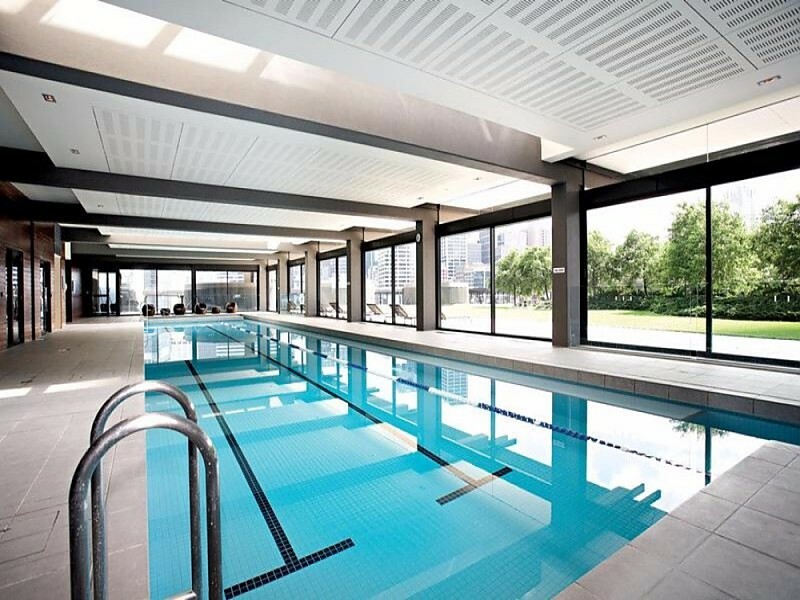 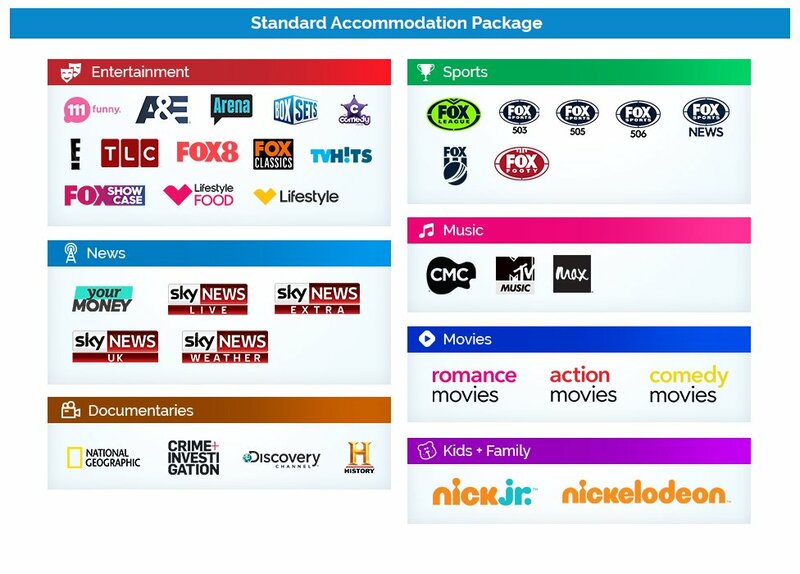 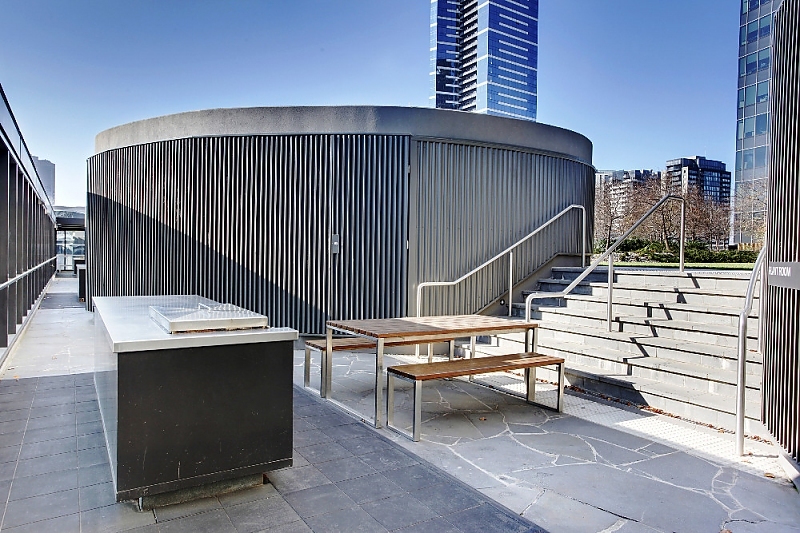 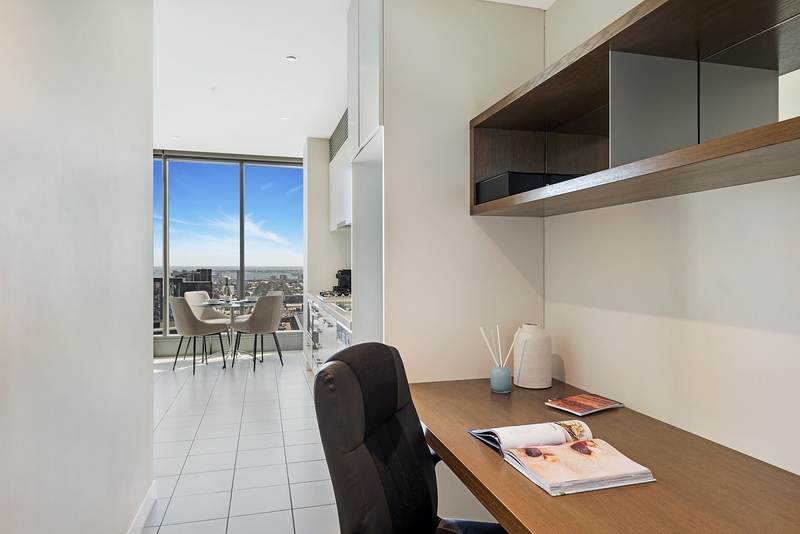 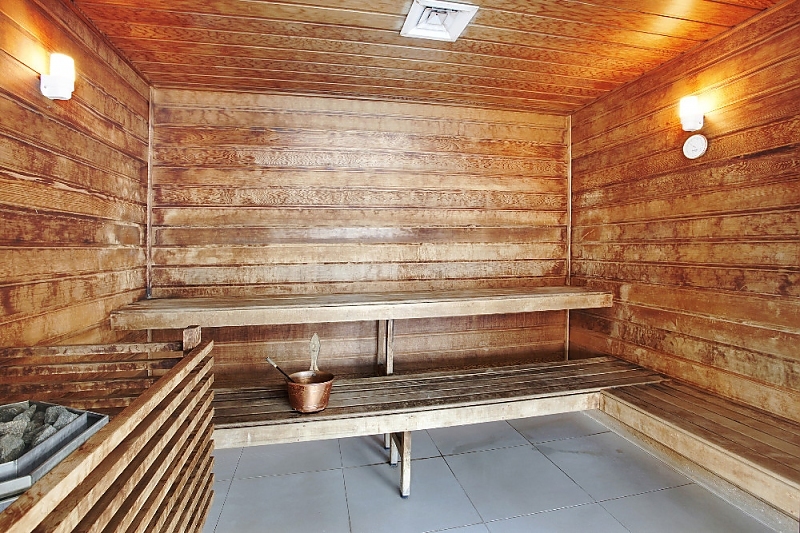 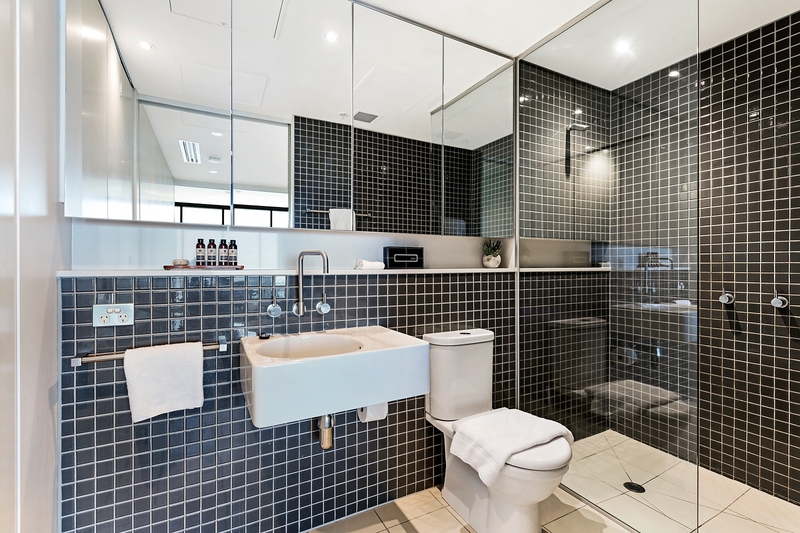 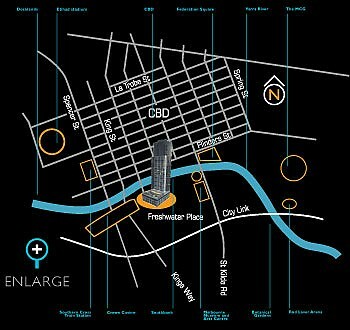 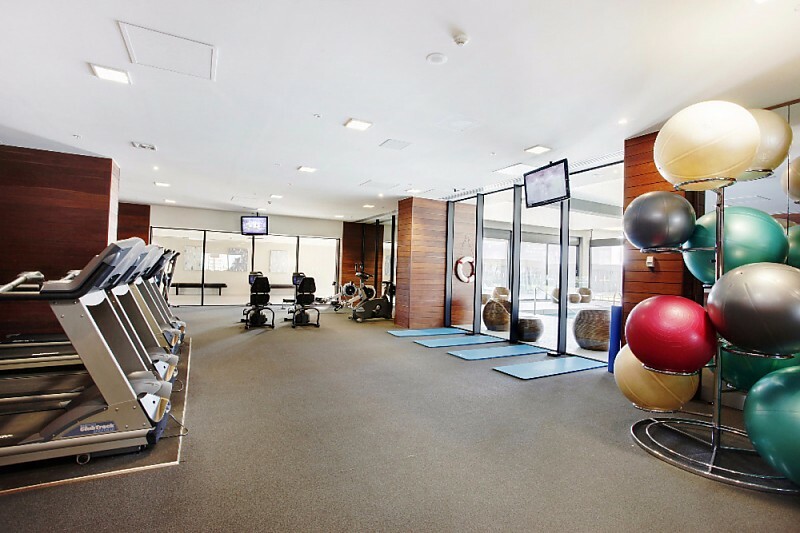 Like all Corporate Keys apartments this apartment is equipped with air conditioning, heating, cable TV, washer and dryer - everything you need to be comfortable during your stay in Melbourne.